Sheffield Chapel was organized in 1854 with 20 members, including namesake Jack Sheffield, Sr. Three churches of varying construction housed the congregation from just after the Civil War until they merged with Haven United Methodist Church to form Haven Sheffield United Methodist Church in 1998. 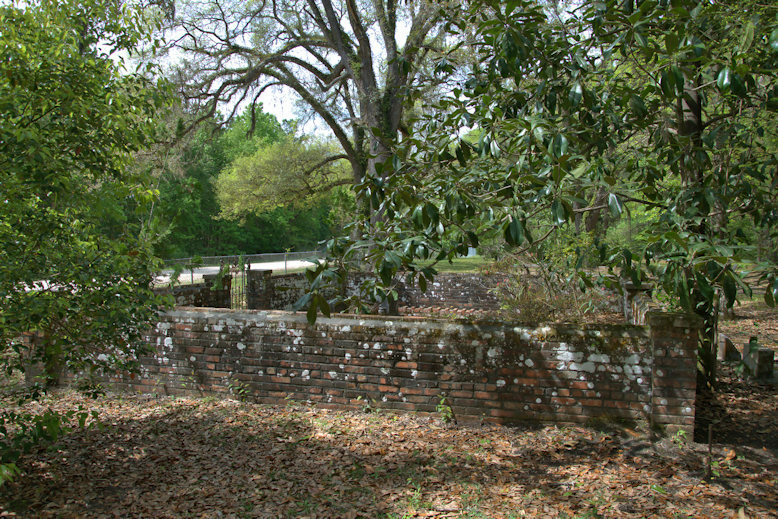 The last, built in 1969 and abandoned since the merger, was lost to arson in 2009. 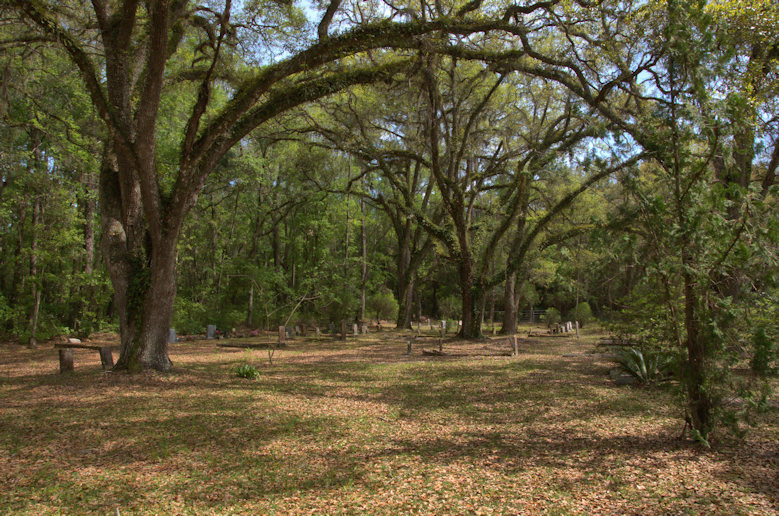 The cemetery is cited in some sources as Sheffield U. M. C. Cemetery and in others as Clayhole Cemetery, for its location in Clayhole Swamp. 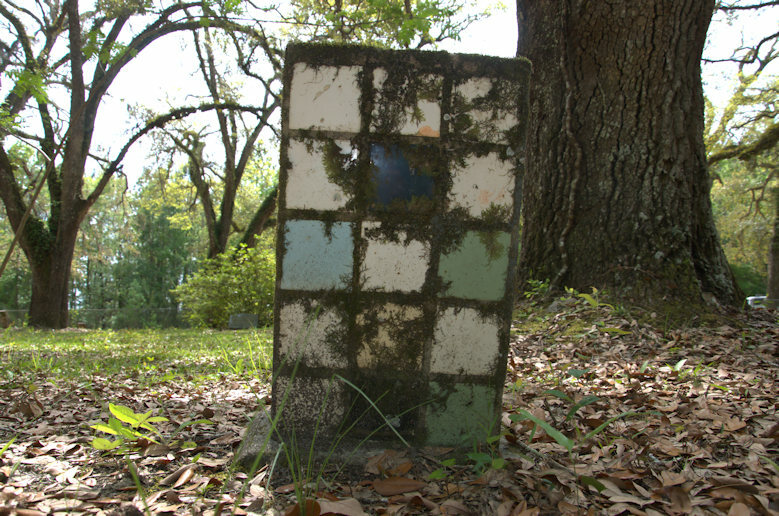 Sheltered by old-growth oaks, Sheffield Cemetery contains some of the most important surviving African-American vernacular grave markers in the region. 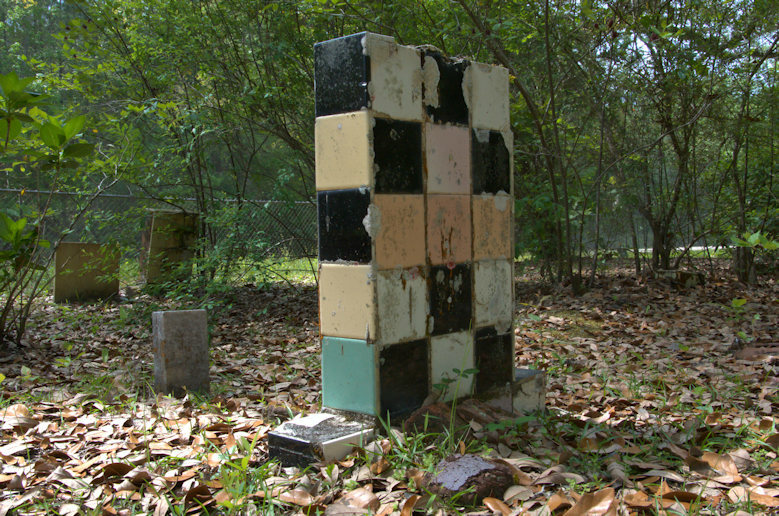 Otherwise simple headstones were decorated with commercial tiles of various colors. (There are nine by my count). 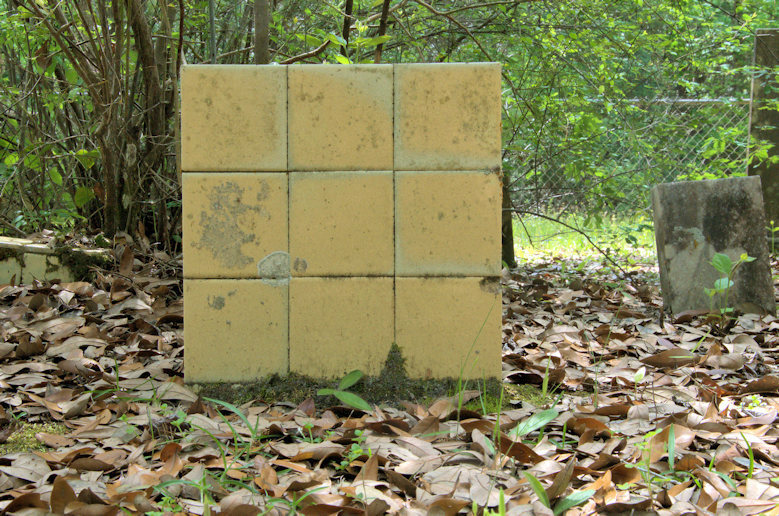 Some of the sides and bases feature the tile, as well, while the backs are exposed and feature the names of the decedents. 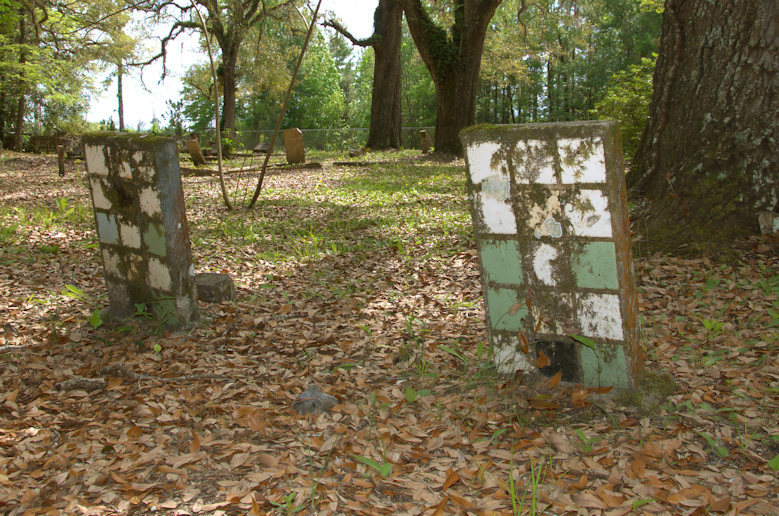 They generally date to the 1930s and 1940s and were likely accomplished by a member of the congregation. Frenchie Taylor Wite (White?) 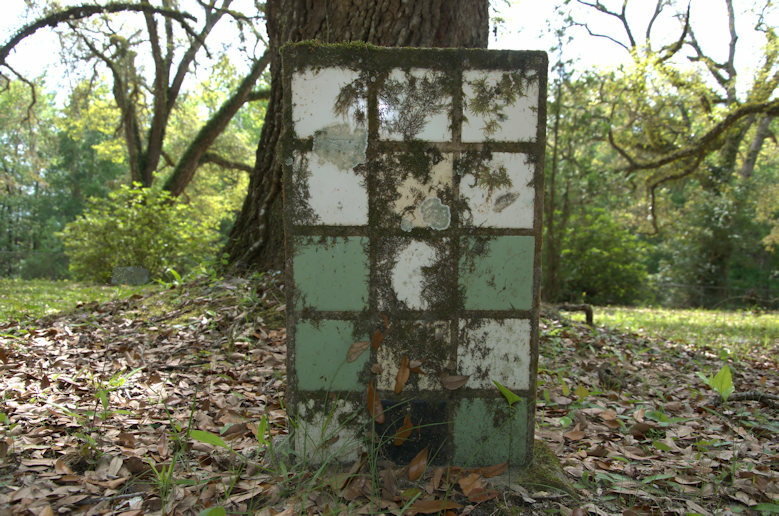 15 April 1902-7 October 1944) – This is the most colorful of all the tile markers. The name for Mrs. Wite may be a misspelling of White. 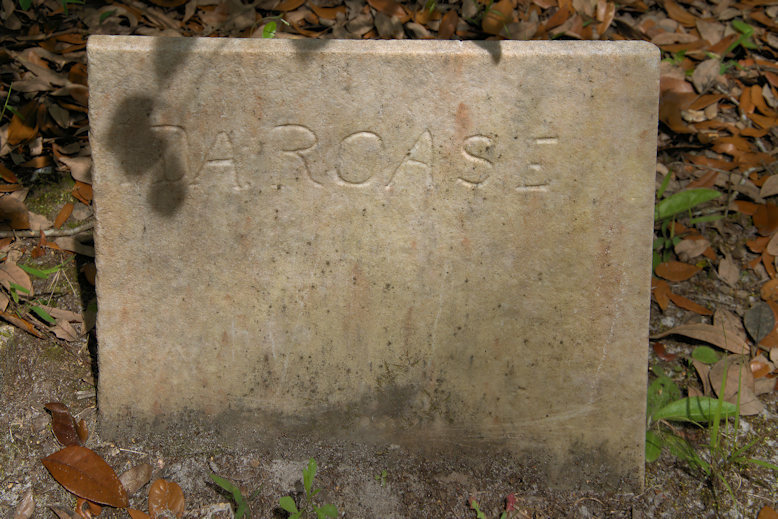 Such errors are common with homemade markers, in both black and white cemeteries. 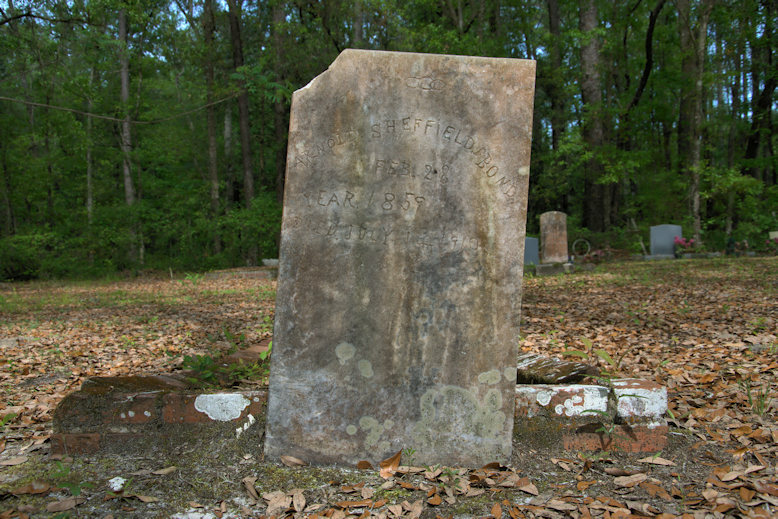 The first photo shows the marker in perspective. 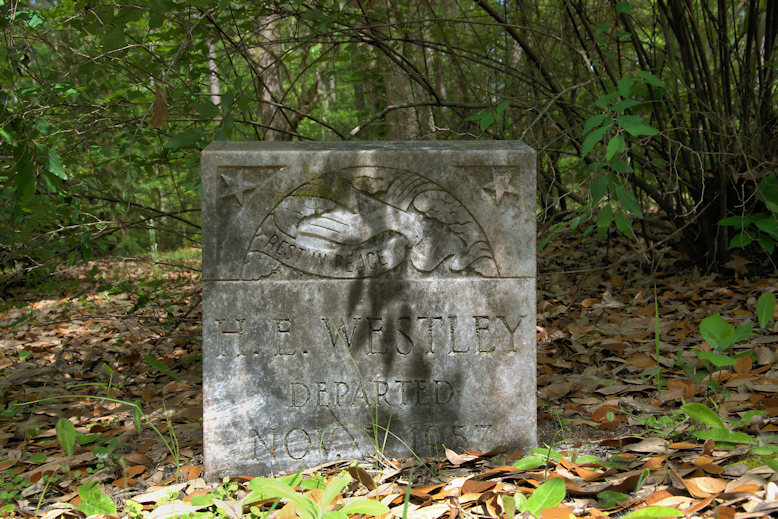 Name Indiscernible (1940s) – This is the smallest of the markers. 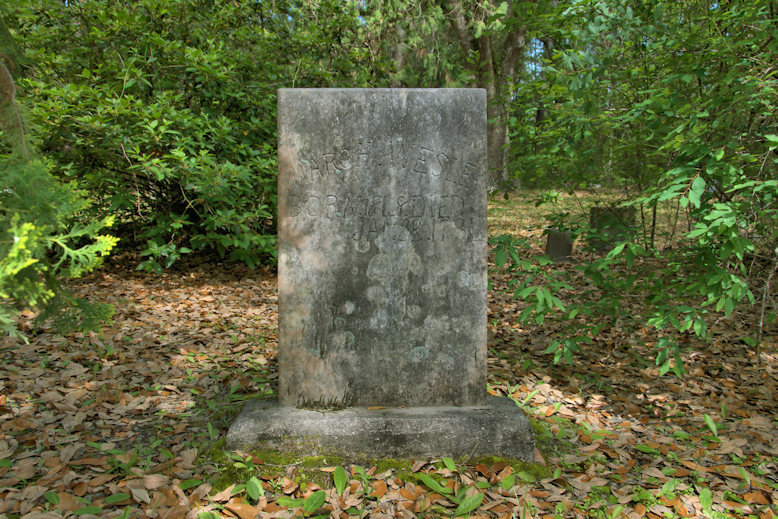 Name Indiscernible (May 10 1885?-December 19?) 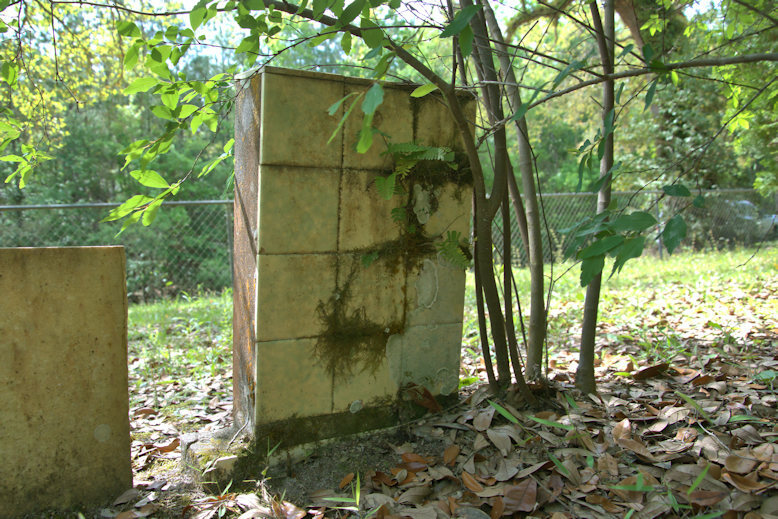 – Eroding text on the exposed concrete backs complicates identification. 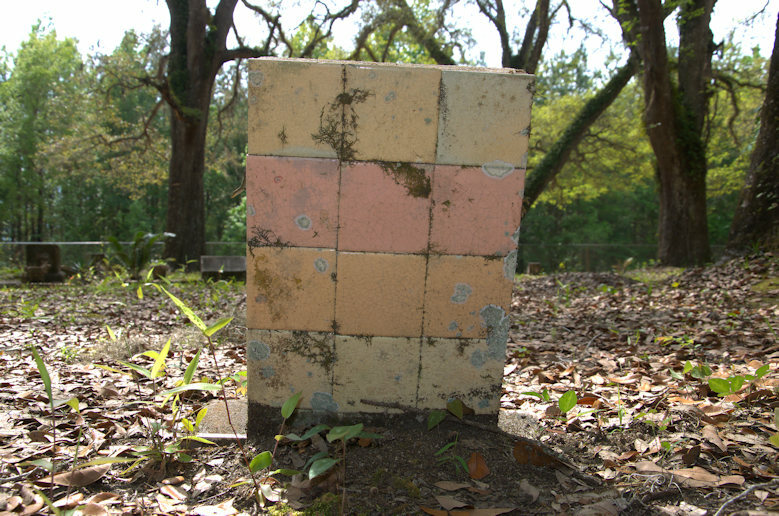 Sam May (7 September 1867-22 September 1936) – This is the only stone not featuring the predominant mid-century commercial tile. 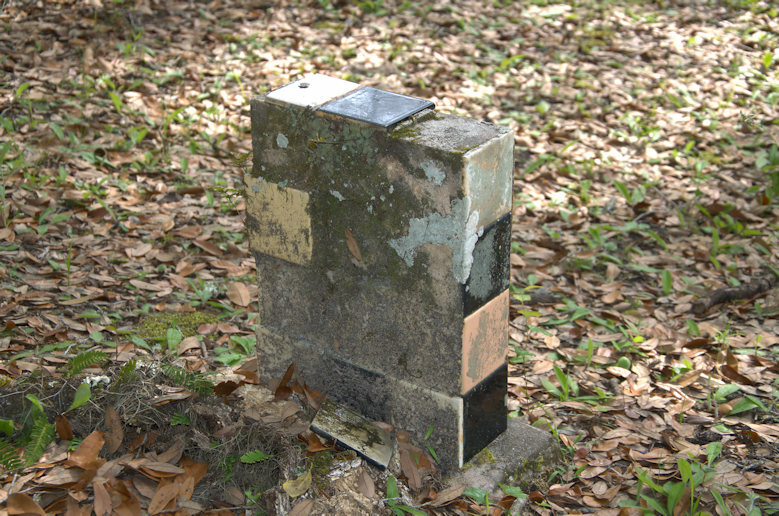 Robert Sheffield (1884-9 June 1947) Tiles have fallen off this marker. There is also a marker for Prince Richardson (1877-27 January 1949), but I somehow overlooked it. 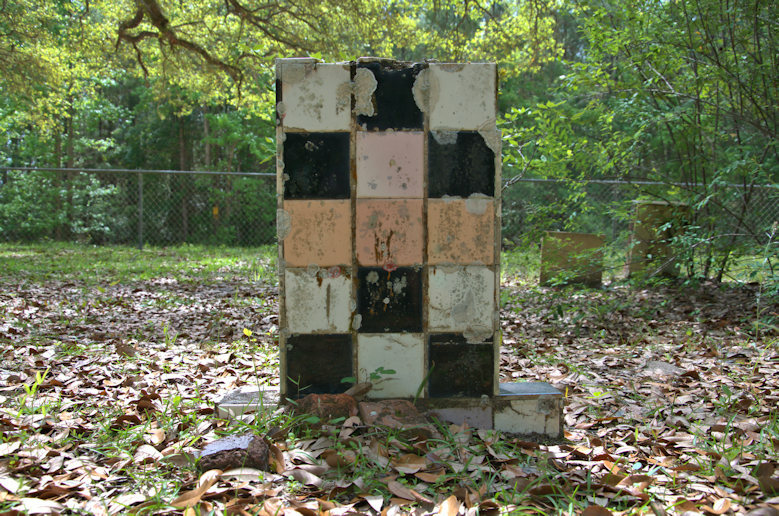 Besides the whimsical tile markers, a number of other significant markers and plots are located within Sheffield Cemetery. I’m sharing a small selection here. John Sheffield (11 November 1825-13 October 1910) – The Sheffield family, who established the congregation in slavery days, are well represented. 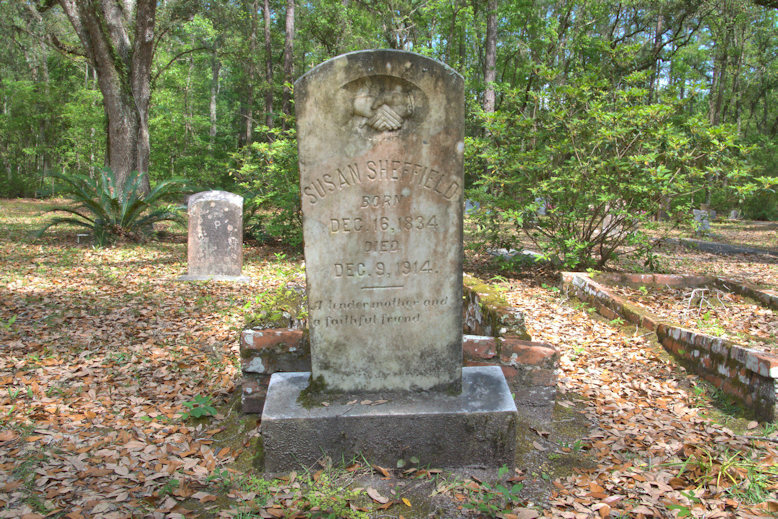 Susan (Akin) Sheffield (16 December 1834-9 December 1914) – Susan married John Sheffield in 1852. 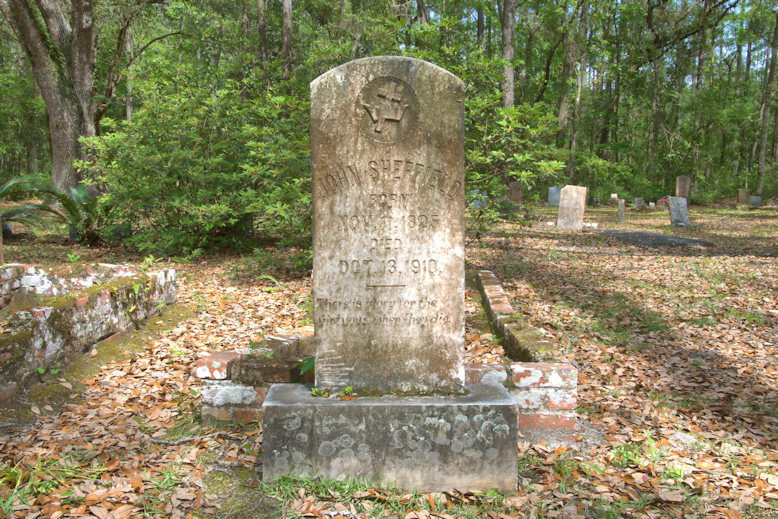 Arnold Sheffield (25 February 1859-14 July 1910) – Arnold was the son of John and Susan Sheffield. 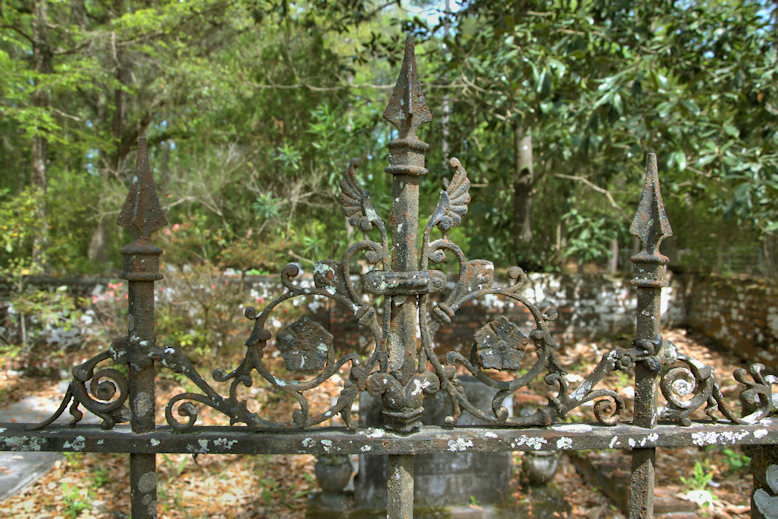 Chains carved on the grave indicate he was born into slavery, as were all (or nearly all) those buried here who were born before the end of the Civil War. 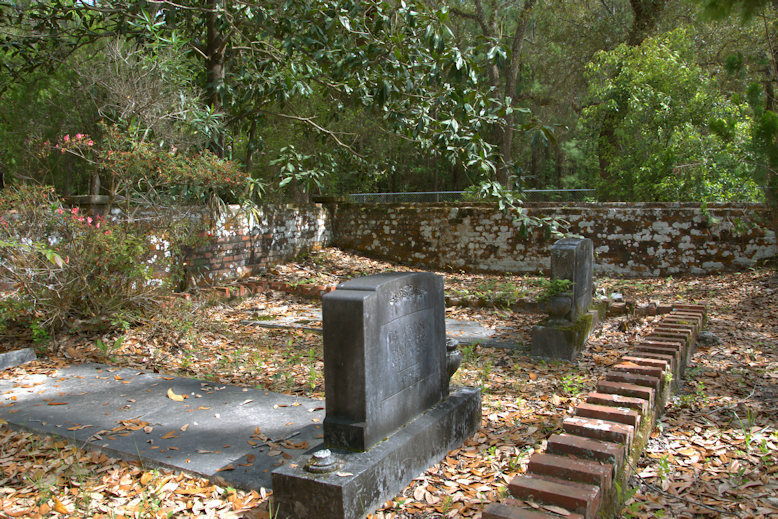 Sometimes, actual chains were placed within the concrete of the graves and some scholars suggest that broken chains indicate that the decedents were freed. This is not employed in all cemeteries but the chains speak for themselves, even for those who lived long after Emancipation. H. E. Westley (Wesley) (?-5 November 1957) – Birthdates of African-Americans, even long after the end of slavery, were often unknown. 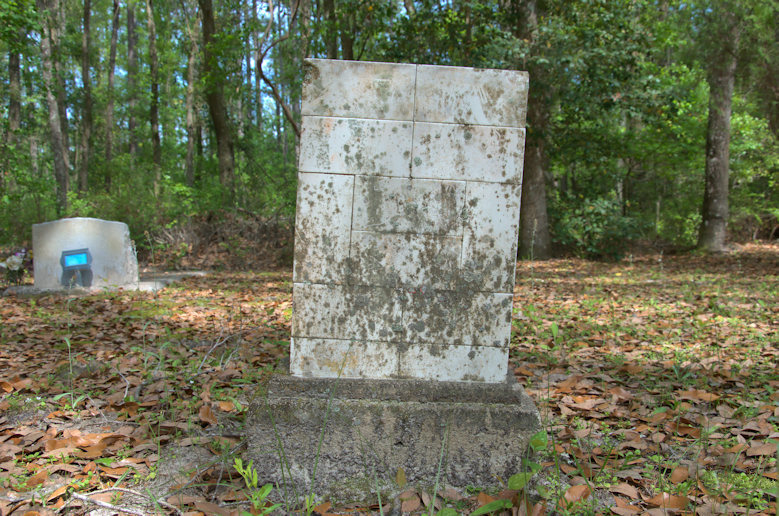 Ida Roase (Rose) (1882-18 March 1904) – I believe this is a foot stone, placed before a more formal marker was added. Alex Atkinson (13 March 1863-6 December 1945) & Ida Atkinson (10 August 1869-10 September 1938) were successful small farmers, like many members of Sheffield Chapel.